Living in Stourbridge, I felt we had to have another sail in the *other* Stour (or “stoor” as the locals pronounce it). So, when Alice asked for a “sleepover” on the boat, it seemed like a good choice. With the wind from the South, it would also provide good sailing. We set out in mid afternoon with Alice at the helm, but with little wind, we were forced to motor into a glassy Felxistowe docks. 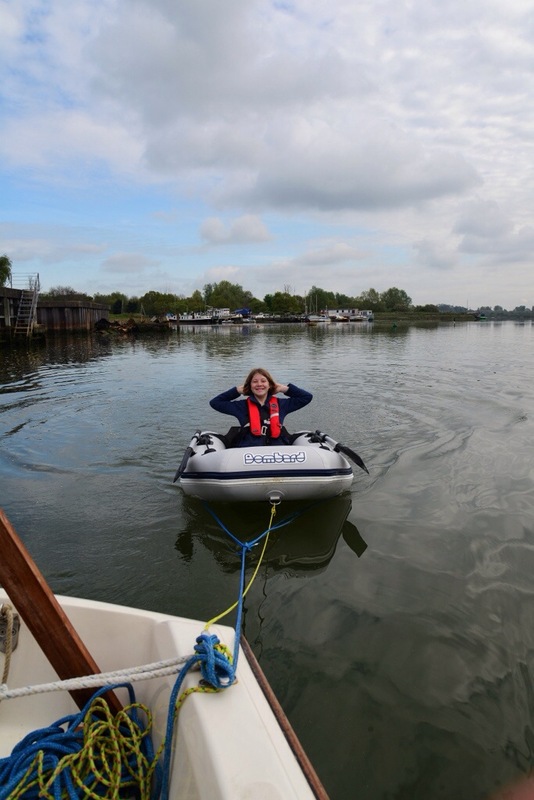 Turning from the Orwell into the Stour, Alice demanded to have the sails up, so we drifted on the flood tide up the river. Passing Parkestone dock, we were passed by the ferry to Hook of Holland. It came within a few boat lengths of us and I started the outboard, expecting to have to motor across its wake, but I needn’t have worried; its hull must be a very efficient shape because it produced barely a ripple. 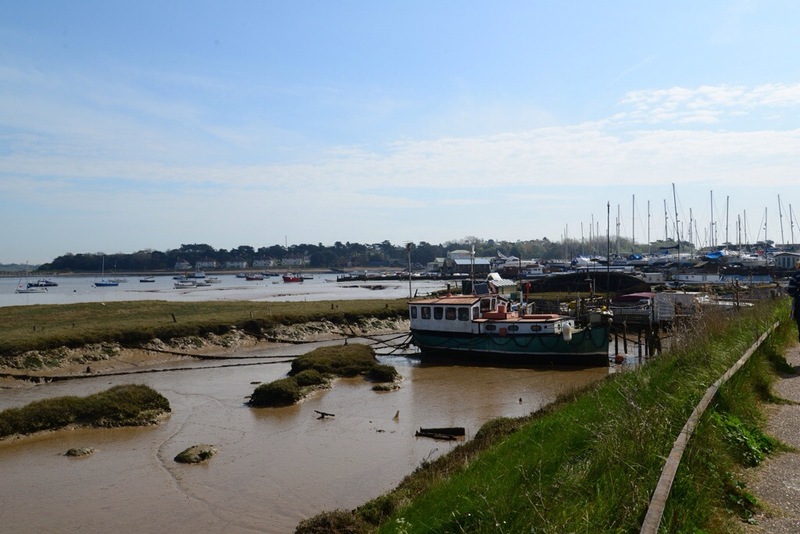 As the tide slackened, we slowed down and admitted defeat, starting the engine once more and motoring to Wrabness point. I had intended to anchor there, but there were plenty of free moorings, so I picked one of those up instead. 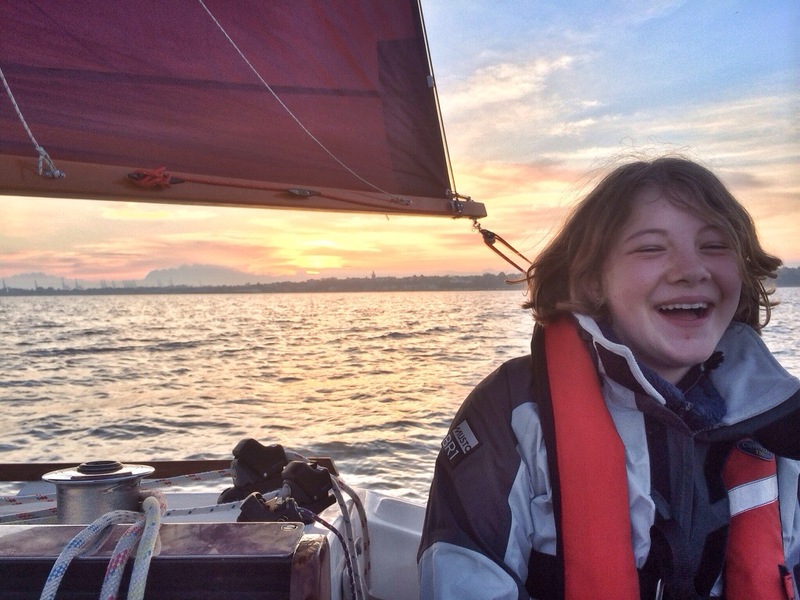 We passed a peaceful night, though first mate woke me early; “dad, can I have breakfast now?” No sooner had that been consumed, Alice was eager to get underway. Not wishing to blunt such enthusiasm, we were soon sailing off the mooring. There was no shortage of wind this morning and Alice helmed again as we shot along towards the head of the river. There was less wind up-river, visibility was poor and the wind variable. A suitably misty Mistley made the furthest extent of this voyage, as we were too early in the tide to continue to Manningtree, which is only accessible at the top of the tide. The return trip was a close reach, increasingly fast, until I dropped the main sail and turned into the Orwell on engine and staysail. Conditions were quite challenging as we left the shelter afforded by Harwich and the wind had clearly built up during the morning. There was considerable swell caused by wind over tide and I was glad to be travelling “downhill”, surfing down the backs of the waves. Entry back to Suffolk Yacht Harbour was challenging, but Aurora was soon safely on her trailer and in receipt of some well earned scrubbing, before her trip home tomorrow. 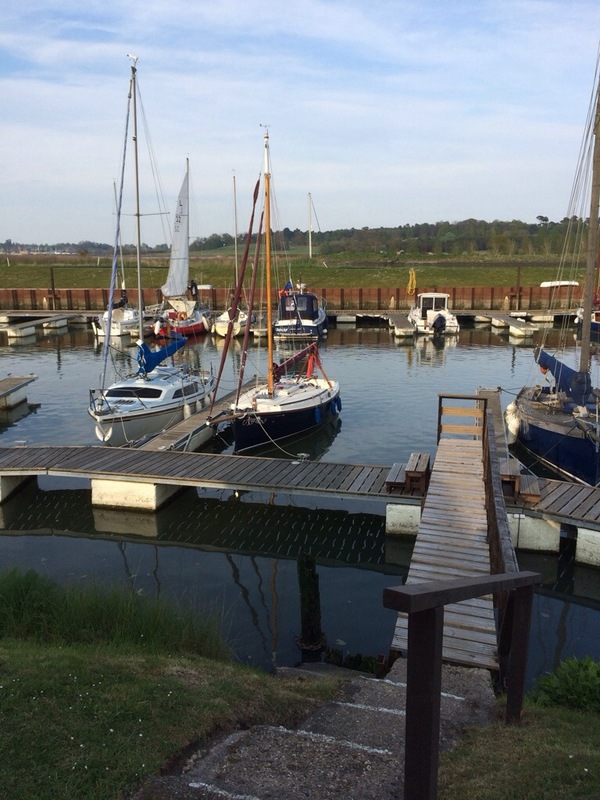 Aimee and I had been joined by Jeff, my father-in-law for an evening passage from the Felixstowe Ferry at the mouth of the Deben, back to Suffolk Yacht Harbour on the Orwell. My aim was to wait until HW, when it would be almost dark, but I decided I just wanted to get on with it! So, we ended up motoring against 2kt or more of tidal stream between the large shingle banks, out to the “Woodbridge Haven” safe water mark. I was hoping for a reach down the coast, but it turned out to be a dead run, so we sailed on main sail only in a very light wind, helped by about 1kt of tide. 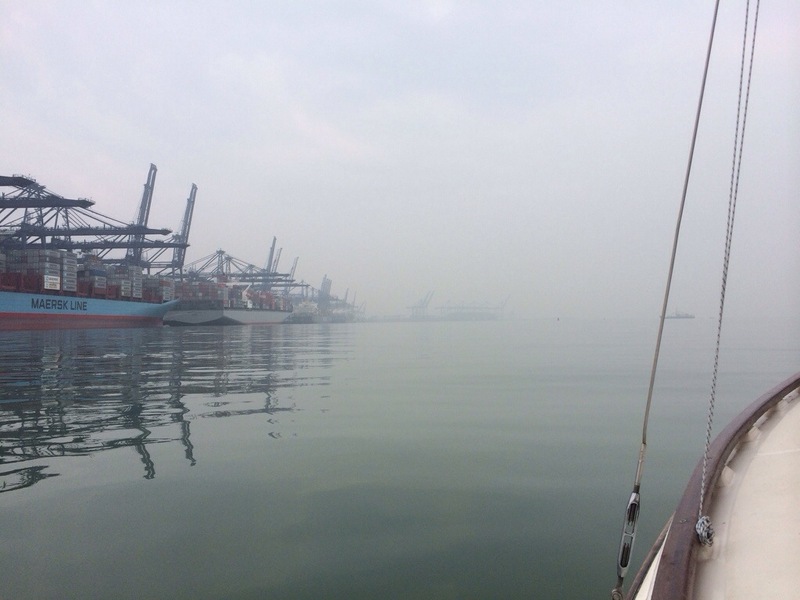 We saw several large ships and had the strange experience of seeing a huge container ship leave Felixstowe docks and five minutes later receive a bow wave almost 2ft high on the otherwise flat calm sea. It was a beautiful evening and we enjoyed watching the sky darkening and the sea reflecting the colours in the sky. 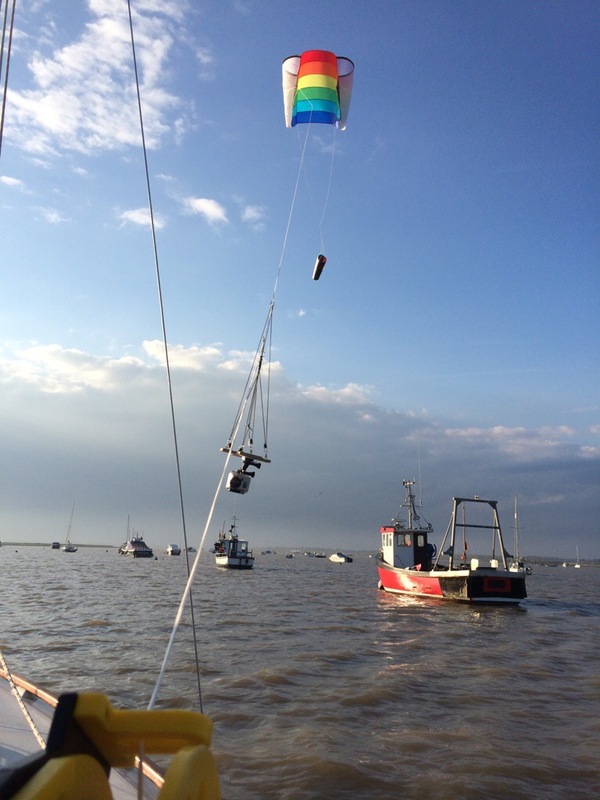 It was a very peaceful sail and it tried to rely on the marker buoys rather than the GPS to navigate. However, when I did compare, it was clear that several port/starboard channel markers are not where the chart plots them. As we approached the harbour mouth, we saw the pilot boat go out; this meant that a ship was expected, although we could see nothing (we were keeping a sharp eye out for lights!). Passing through the channel, we turned in along the South side and hardened up for an enjoyable 3-sail fetch into the harbour. 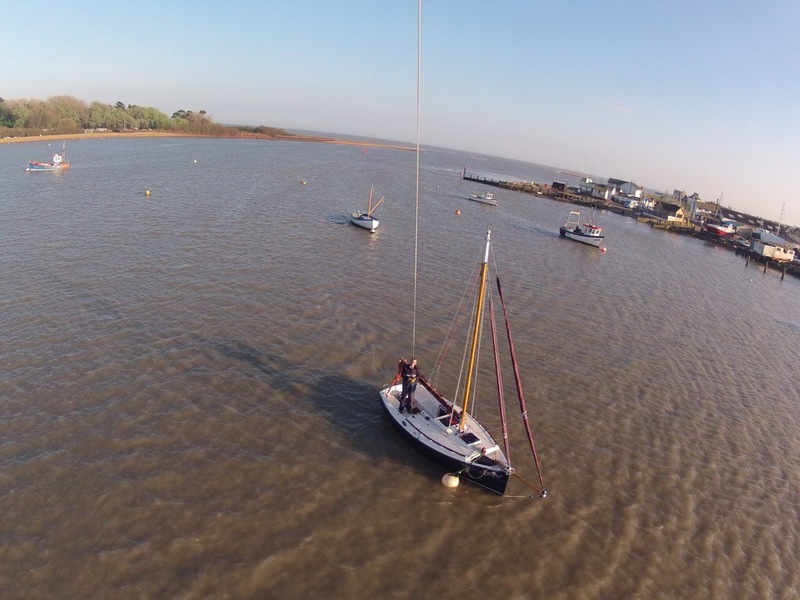 It was clear that we would have to beat all the way through the harbour if we were to sail up river and on the port tack we were actually being taken backwards by the tide. Henry Honda had already done a lot of work today, and was pressed into service again. Felixstowe docks looked very impressive by night and we saw the large ship arrive (behind us, fortunately); it really is a 24/7 operation, with strings of lorries delivering and collecting containers to and from the ships. This one-pot meal is a variation on meatball carbonara, based on a recipe for the thermal cooker recipe book. Whilst I don’t usually use jarred sauces, the convenience is very valuable aboard. I used some local suffolk pork sausages and browned them in a little olive oil. A bonus of the thermal cooker is that they don’t spatter because the pan is deep; usually I avoid frying on board. Remove the sausages to a bowl and fry off an onion, 2 cloves of garlic, a green pepper and a carrot, all chopped quite small. 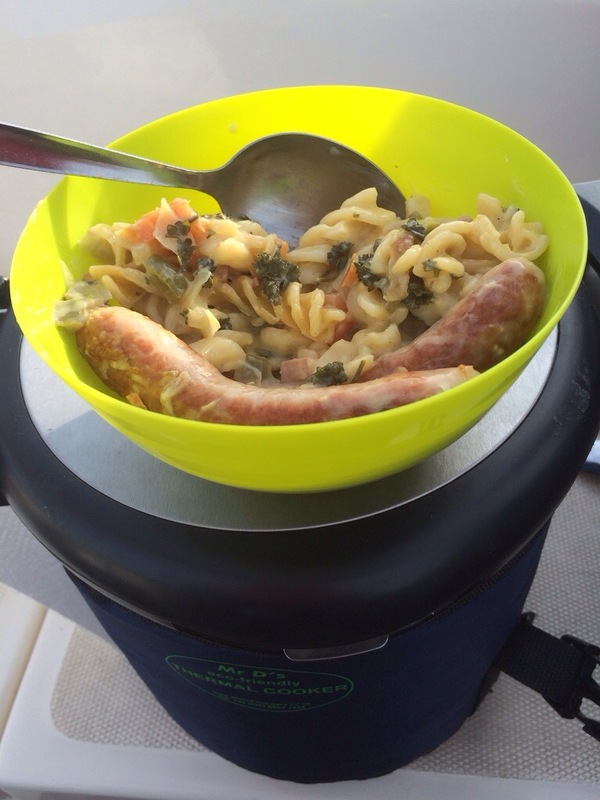 Return the sausages to the pan, add a 500ml carbonara cook-in sauce and then 500ml of water, rinsing the jar out. Add a good handful of chopped fresh parsley and a chicken stock cube. Finally add about 200g of spiral pasta (I just guessed and estimated half a 500g bag). Bring the lot up to boil for about 5 mins and then put the pan in the thermal cooker. After a peaceful cool night, today began in sunshine (not forecast). Last night, Niki went home after the meal and Aimee joined me for a “sleepover”. 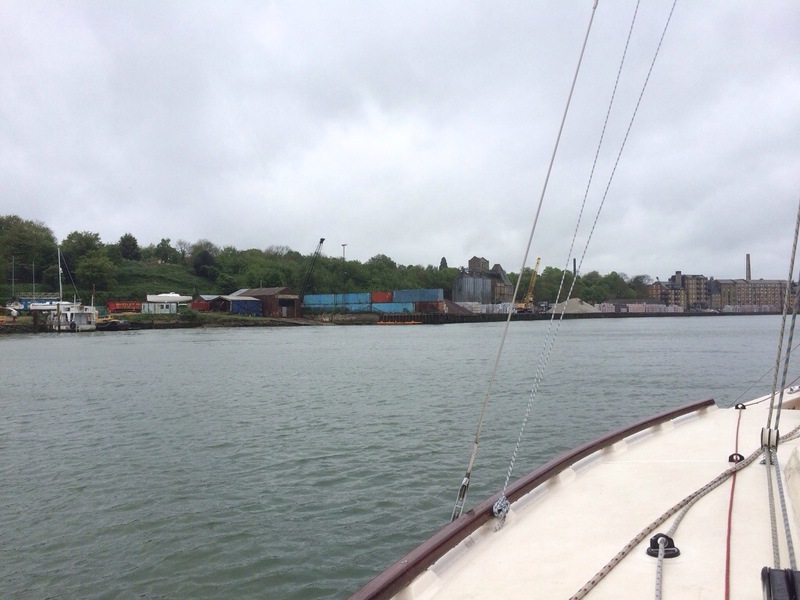 After availing ourselves of the excellent facilities at tide mill marina, we departed earlier than planned, so I took the opportunity to explore further upstream. There was no wind and very little human activity visible, so we chugged upstream against the just-turned tide. The voyage in this direction was definitely time-limited. This is a beautiful part of the Deben, with many birds visible, going about their business on the banks and adjoining salt-marsh. After reaching the highest point and beginning to run out of depth, we turned to follow the river back to its mouth. Alice had petitioned for the tender to be called “Aurelia”, after we had discussed using it the previous day. 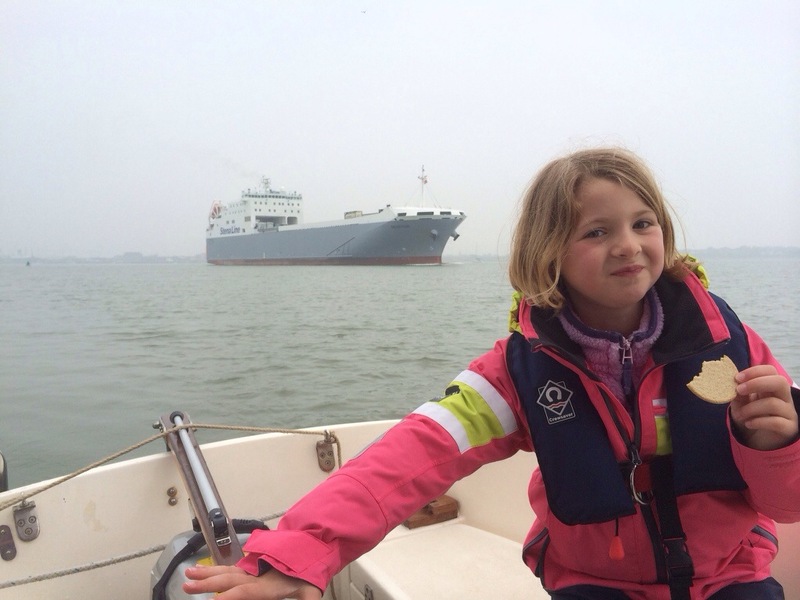 Aimee, seeing Aurelia towing behind Aurora, asked to ride along behind. So it was we motored down river, each in our own separate boat. Sadly, the wind was light and on the nose, so we motored the whole way. Approaching Waldringfield, Aimee begged for an ice cream. The visitor moorings opposite the Maybush pub come complete with their own tender, but I was determined to get used to using Aurelia, so we rowed ashore for an ice cream and a walk in this pretty village. After lunch en route, we motored the rest of the way to Felixstowe Ferry and picked up a mooring, this time close to the Bawdsey Quay (West) shore. Bawdsey manor is famous for being the place where the RAF the first working radar installation, instrumental in defaulting the Luftwaffe during WWII. The single remaining mast is a prominent landmark in the area and the manor house now houses a private school. I was hoping to visit the radar museum but we rowed ashore and walked the mile or so to the entrance in vain; the museum is only open on high days and holidays. Still it was a pleasant walk whilst Aimee regaled me with enthusiasm about the books she had been reading for her school book quiz. 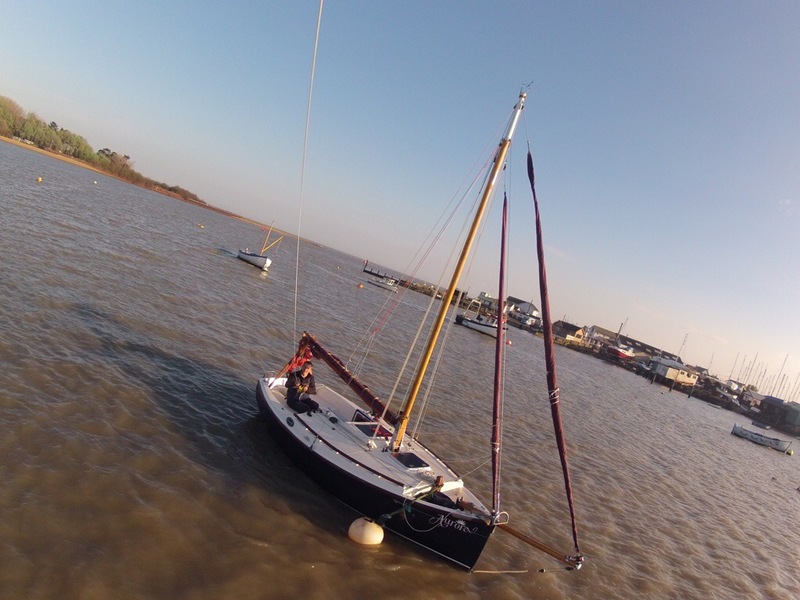 We returned to Aurora for a rest, whilst awaiting Jeff for an evening sail back to Ipswich. 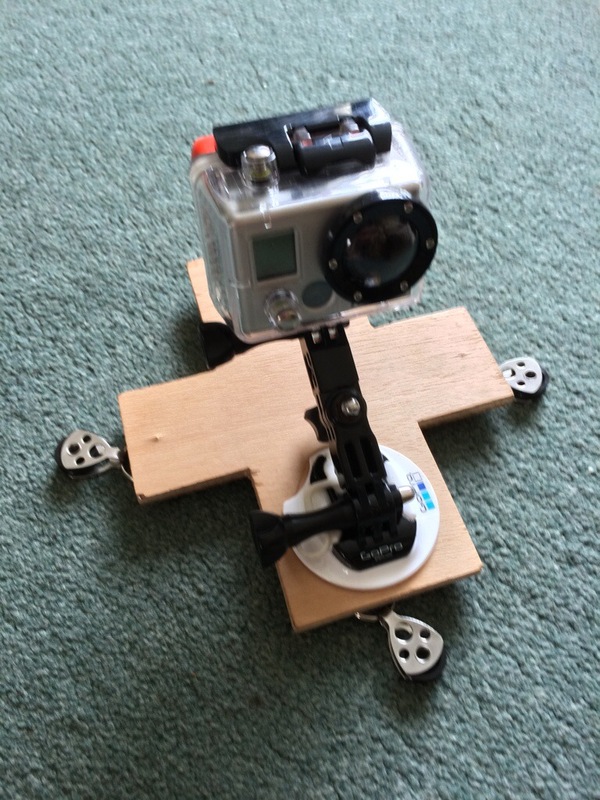 10nm, average speed 2.5kts. 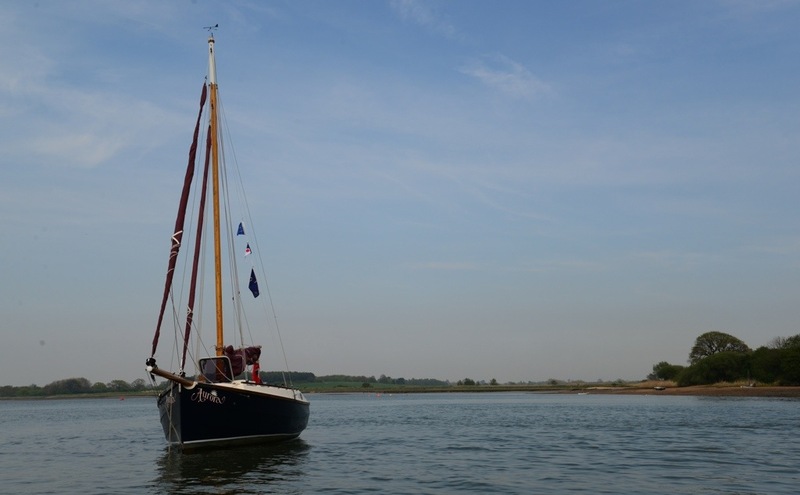 After passing a peaceful night at Felixstowe Ferry, we received a visit from the harbour master, who asked us if it was our first time here and, learning it was, told us there was no charge for the mooring. 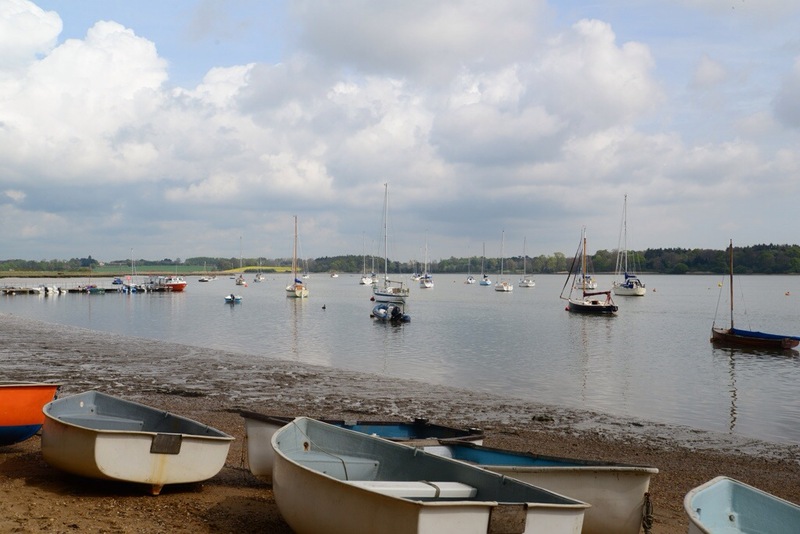 The plan was to sail the whole navigable length of the Deben to Woodbridge. This is not a great distance, but we needed plenty of tide to be able to get into the marina. After we had breakfast the tide was still falling and the wind very light, so we decided to delay leaving. Our tender does not get much use, but we pressed it into service and rowed ashore. It was a glorious day and we had a lovely walk first along the bank of the salt marsh and then along the sea wall, watching the comings and goings. The mud moorings at Felixstowe Ferry seem to attract some “alternative” (=eccentric) people, but there was plenty of interest to see. With us safely back aboard Aurora and the tide finally starting to flood, we set off upstream. After an initial scrape on a sand bank, we found the deep(ish) water and drifted along on Yankee only, with the wind nearly dead behind us. It was so peaceful, with just the noise of the birds and the lapping water in the warm sunshine. The lovely Suffolk scenery slipped past us and we drifted through the marshes and past Ramsholt. Reaching a sheltered tree-lined stretch called “The Stones” we dropped anchor for a leisurely lunch. 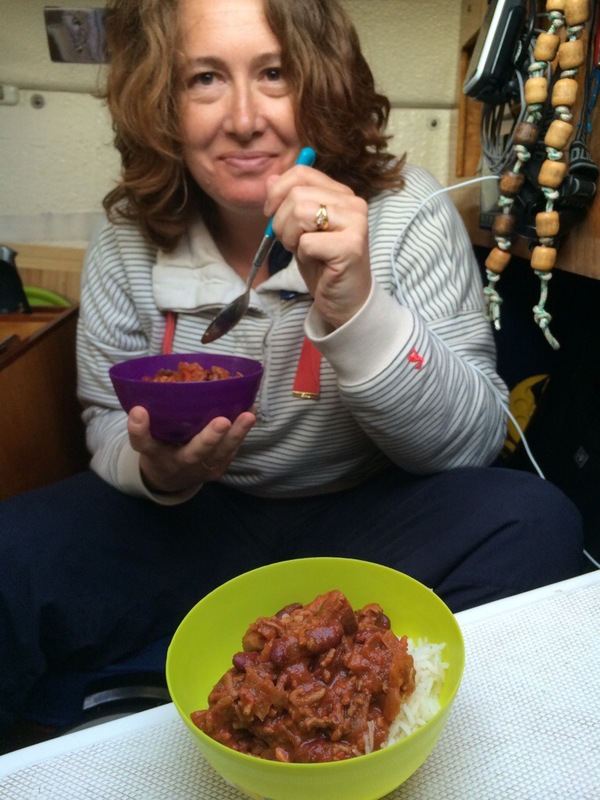 I took the opportunity to row ashore for a leg-stretch, before we moved on. There was much wildlife- nesting Herons, butterflies, waders, mussel beds. The afternoon continued through even lovelier scenery, the channel winding left and right, the wind behind us. As we passed Waldringfield we saw fellow Cape a Cutter 19 number 61, “Capers”. Then came Methergate and Martlesham Creek, entering the final stretch to Woodbridge, only accessible near high water. I had calculated that I would be able to get into Tide Mill Marina at 1630, but the tide gauge said otherwise and we picked up a mooring to wait another half an hour before crossing the cill into this very picturesque marina, which takes its name from a very famous flour mill on the waterside nearby which used the tidal flow to power its stones. After some victualling and a precautionary fuel top-off, it was off to the “Duke of York” for proper steak and kidney pudding with the family, to hear what the land-lubbers had been up to. A relatively short distance today, but a really golden day. 8nm, average speed 2.5kts, but no main sail and virtually no engine either. 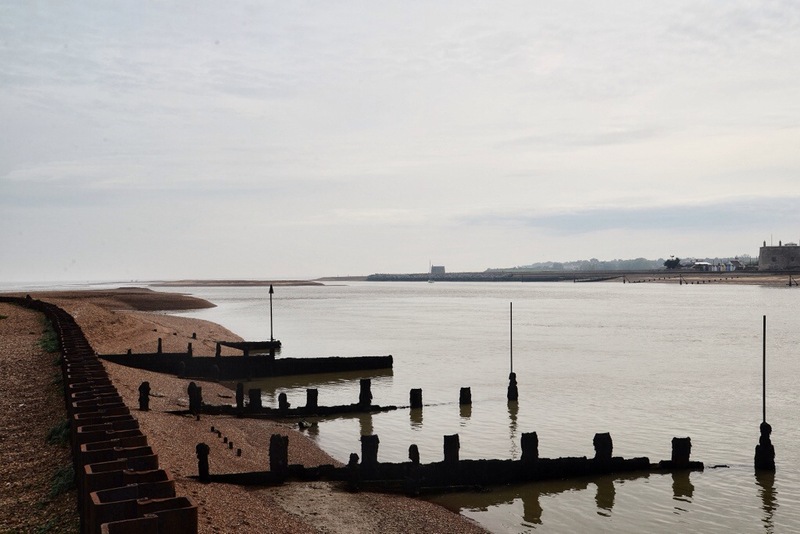 With the children enjoying some time with grandma and grandad, I wanted to take Niki to see the Deben. This river has a reputation as one of the most beautiful in Suffolk. 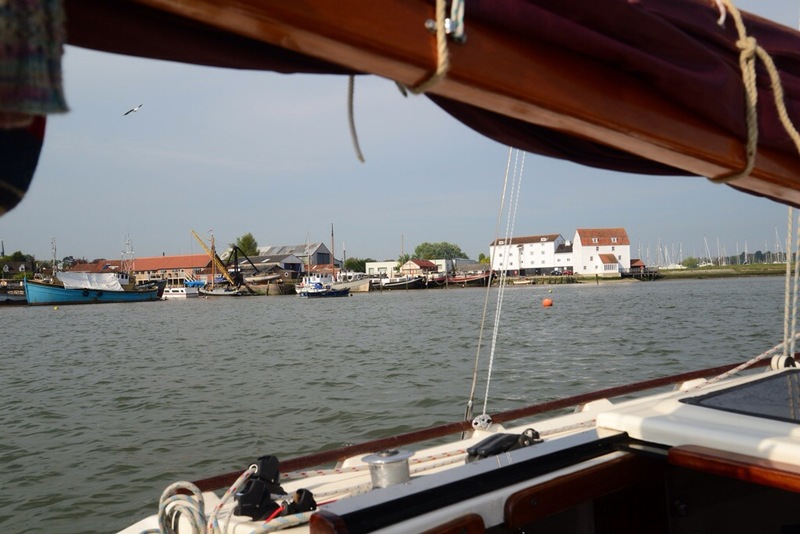 I decided to sail Aurora first to Felixstowe ferry, which is just inside the mouth of the river, and then sail the whole navigable length to Woodbridge the next day. 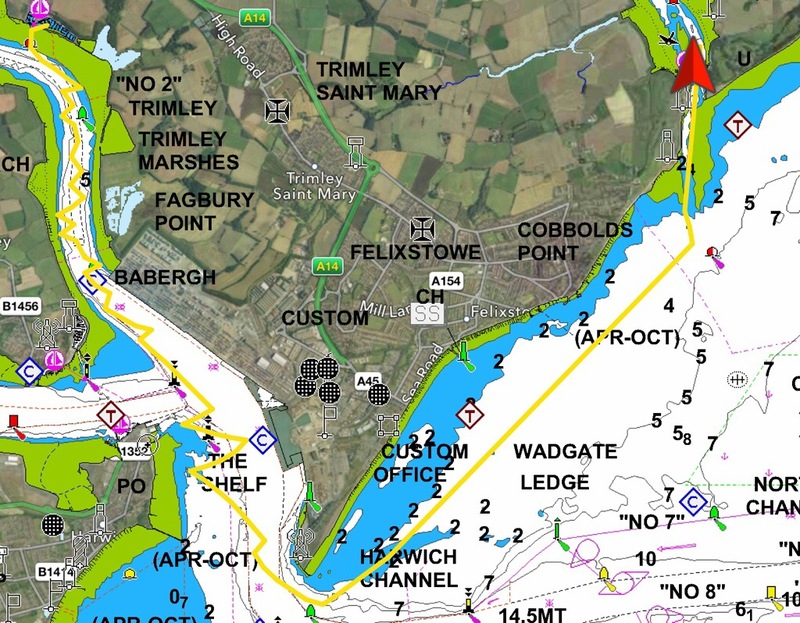 We set out from Levington just after lunch, timing our journey to reach Woodbridge Haven, just outside the shallow mouth of the Deben, at the optimum time, HW-2. Unfortunately this meant not just a beat out of the Orwell, but also against the rising tide. As we had resolved to sail (rather than motor), it took us about two hours against a blustery breeze. However there is always something interesting to see in Felixstowe docks and the time passed agreeably enough. By the time we reached the mouth of the river, the wind had abated and swung to the SW. The sun came out and we had a lovely run, shaking out the reef and switching from staysail to yankee. 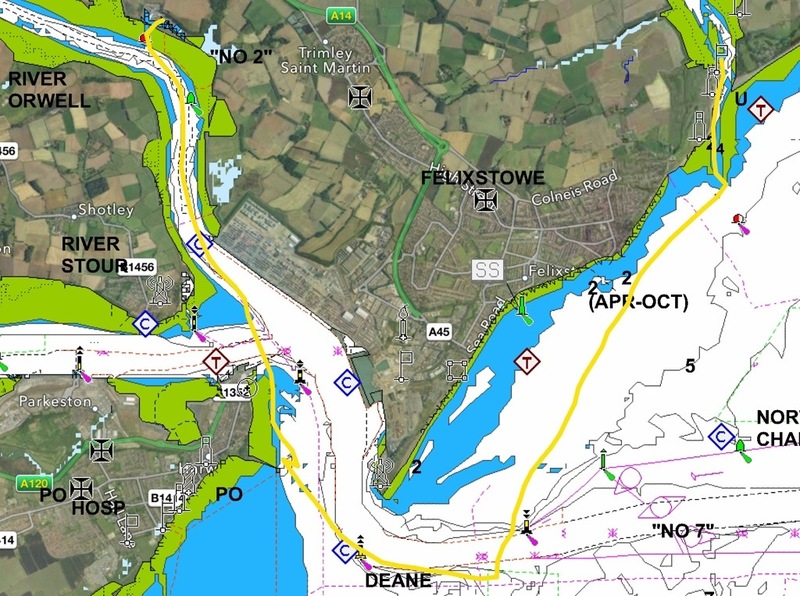 Quite soon, we were entering the Deben with almost 2kt of tide under us and, even though it was not far from HW, there was less than 1m of water under the plate as we crossed the shallow part between the shingle banks. Felixstowe Ferry looked lovely in the peaceful Afternoon sun and we quickly picked up a mooring in the shelter of the town. Dinner tonight was chilli beef with mushrooms, served with rice. Not my finest culinary hour (I forgot several ingredients), but hot and filling. 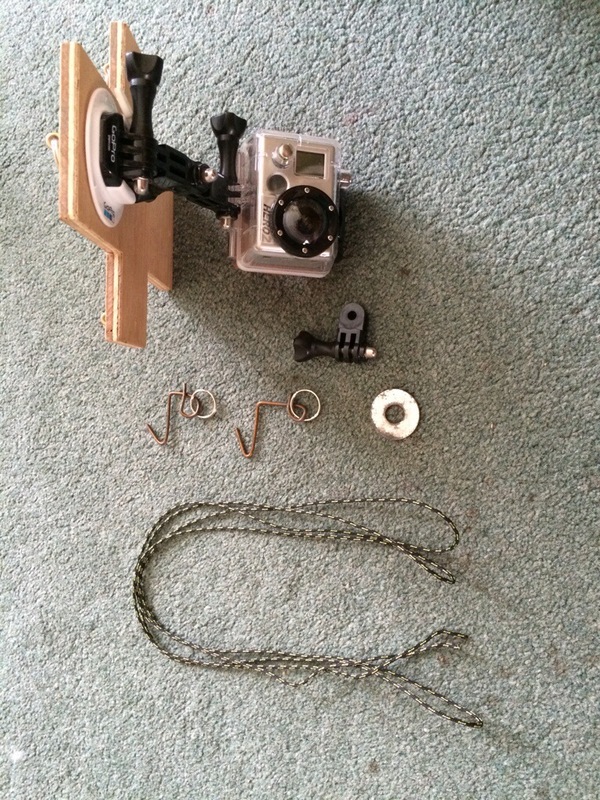 Whilst that was finishing in the thermal cooker, I had a chance to try out my mark 1b kite-cam rig, in a steady breeze and golden light. 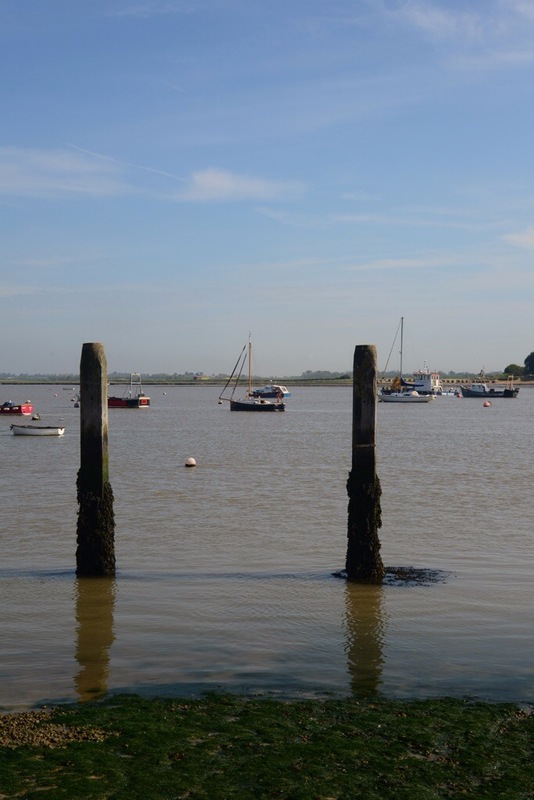 With a sunny day in prospect tomorrow, we look set to see the river Deben at its Spring best.